Society President Patricia Wright, Ph.D., left, and Edwina Walls Mann, are pictured at the annual meeting of the Society for the History of Medicine and Health Professions. Mann was the inaugural recipient of an award that is also named in her honor. April 12, 2019 | Edwina Walls Mann has been recognized by the Society for the History of Medicine and Health Professions as the inaugural recipient of an advocacy award named in her honor. The society held its 38th annual meeting April 5 in the Lobby Gallery at UAMS Medical Center. 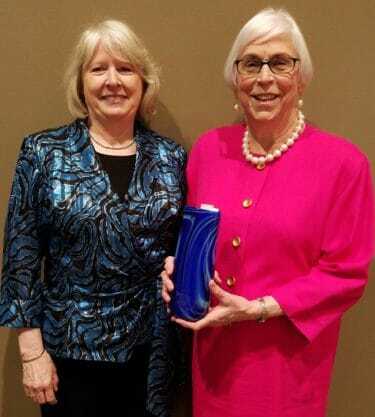 The Edwina Walls Mann History of Health Sciences Advocacy Award was announced in 2018 to recognize a person, organization or institution that has demonstrated a sustained commitment or made an exceptional contribution to promoting the study, appreciation, preservation and dissemination of the history of the health sciences in Arkansas. Mann established the Historical Research Center at UAMS in 1978 and was instrumental in organizing the Society for the History of Medicine and Health Professions. She built the center into a thriving department with a significant collection of historical materials related to the history of UAMS and health professions in Arkansas. 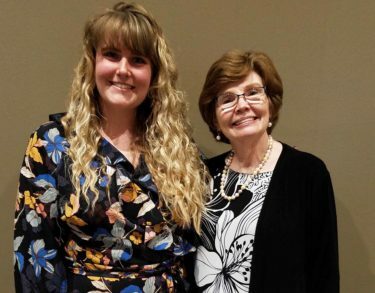 Society President Patricia Wright, Ph.D., right, with presenter Laura E. Smith, instructor of history, University of Arkansas, Fayetteville. Mann initiated the society’s annual meeting, organized many lectures on historical topics, developed numerous major exhibits, established the oral history program documenting important developments at UAMS and in Arkansas, and assisted many researchers looking for information on topics related to the history of the health sciences. After her retirement in 2000, she volunteered to work processing the backlog of historical records donated to the HRC, a task she still continues to work on at the center. 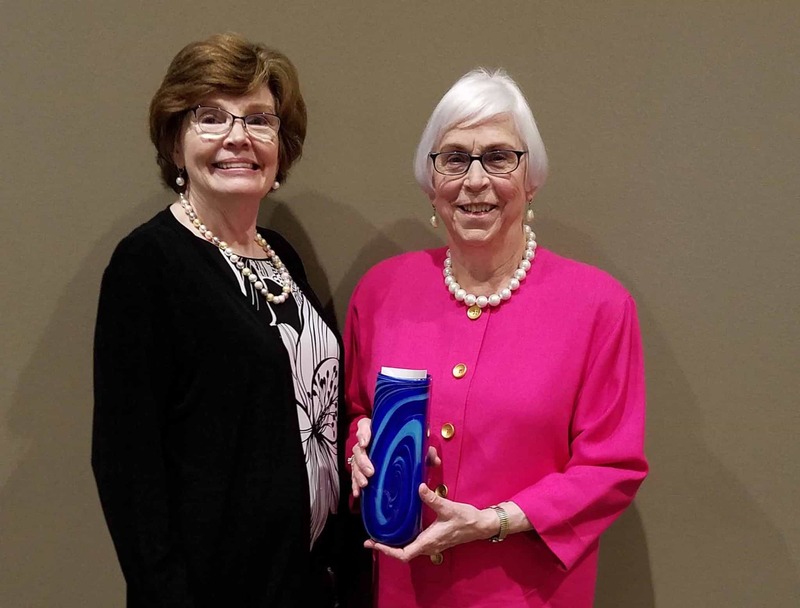 Former UAMS Library Director and Society Past President Mary Ryan, left, and Edwina Walls Mann. Wright presented Mann with a piece of art glass by noted Pine Bluff artist James Hayes. Also at the meeting, Laura E. Smith, Ph.D., a history instructor at the University of Arkansas, Fayetteville, presented the lecture “A Tale of Two Communities: The Business of the Medical School and Physician Respect in the Nineteenth-Century South,” which covered the professionalization of doctors. The society provides support for the Historical Research Center in the UAMS Library. Other projects include providing research grants and conserving rare and classic books in the center. Membership is open to anyone with an interest in preserving the history of UAMS and medicine in Arkansas. About 60 people attended the event, which also included a reception, dinner and a business meeting. For more information, contact Timothy G. Nutt, director of the Historical Research Center, at 501-686-6735 or tgnutt@uams.edu.